The Welsh Corgi, or more commonly known simply as a Corgi is a small herding dog that was originally bred in Wales. Although Corgis seem cute and cuddly, they are also extremely intelligent and are frequent participants in agility sports. 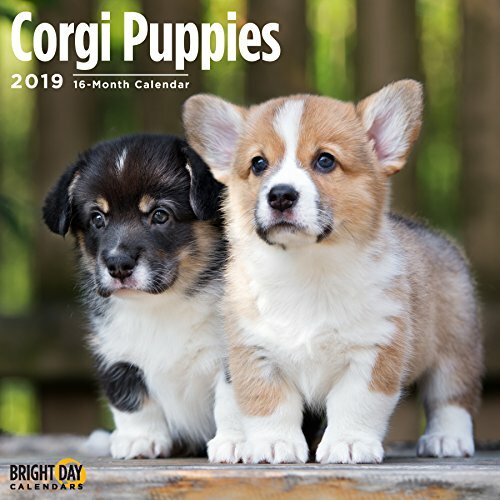 Corgi lovers will enjoy flipping through this calendar and seeing all the cute puppies. Enjoy the beautiful images of this one of a kind breed. If you have any questions about this product by Bright Day Calendars, contact us by completing and submitting the form below. If you are looking for a specif part number, please include it with your message.